Joanne Harris is one of my favourite authors, so I was over the moon when I found out she had agreed to take part in The Write Way feature. 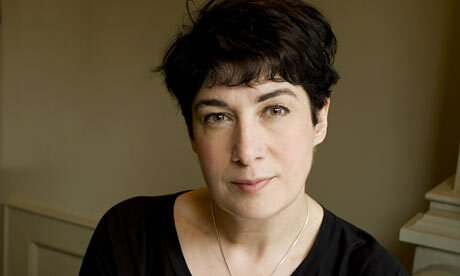 Joanne Harris has written some fantastic books including Chocolat,The Evil Seed, Gentlemen and Players to name but a few. This month sees the publication of the second book in her Young Adult series, Runelight, which I will be reviewing over the next couple of days. 1)As a well established author, do you find the writing process gets easier with each new book you write? Not really. I’m learning and trying new things all the time. Plus I tend to become more, rather than less self-critical as I progress. 2) What made you decide to cross over into the YA market? I don’t feel that’s what I’ve done. Issues of marketing are down to the marketing department. I originally wrote RUNEMARKS for my daughter, but beyond that I don’t really make too many assumptions about my target audience. I’ve learned that it covers a wide range of different readers of varying ages, and I’m happy to welcome all of them. 3) Did you find writing for Young Adults different from writing for adults? I haven’t changed my writing style at all. Only the subject matter is different. I don’t really agree with the categorization of books into Adult, Young Adult, etc. I’d much rather see people choose the books they want to read for themselves. 4) Do you think the YA market has reached saturation point? Not while people still want to read books. We need all the variety we can get. 5) Runelight is the second book in your YA series, can you tell us a little bit about it? 6) What kind of research did you need to carry out before writing Runemarks and Runelight? I’ve been reading books on Norse mythology since I was seven. Depending on how you look at it, that’s forty years of research. Or none at all. Take your pick. But I wanted the language to be appropriate, so I’ve been learning Old Icelandic (at least to the point at which I can read texts in the original, with a dictionary), and investigating a wide range of runic alphabets in order to make the runes more authentic. 7) Which was your favourite character to write in Runelight? 8) When writing, what is your daily word target? I don’t have one. I don’t think in that way. 9) How long does it take you write the first draft? Do you edit it as you go along or leave it until is it finished? Because I tend to write more than one thing at once, the time taken to complete a draft can vary wildly. I edit as I go along, to a point, and then I do a single rewrite when I have a clean first draft. I don’t usually need more than a few editorial notes after that. 10) What are you planning to write next? I’m working on another book about the heroine of CHOCOLAT, Vianne Rocher. After that, I may start on another RUNEMARKS story. 11)When is your ideal time to write? Morning, afternoon or evening? I like the mornings when no-one else is up, and no-one can interrupt me. I work in a shed in my back garden. I work best when I’m there, although I can also write in hotel rooms, on planes, anywhere. 12) Which authors inspired you whilst growing up? 13) Do you read many debut authors? If you do, who would you recommend? I read all kinds of authors. I don’t always notice whether they’re debut novelists or not. But I’ve just read S.J. Watson’s terrific first novel, BEFORE I GO TO SLEEP, and I’d recommend it to anyone. 14) If you could have written any other book in the world, what would it be? Victor Hugo’s masterwork, LES MISERABLES. Or any of Rimbaud’s poetry. 15) Which of your own books would you like to see made into a film next? Thank you Joanne for taking the time to join us today. I hope that one day RUNEMARKS hits the big screen too! 1) Which of her books you enjoyed the most? 2) If you haven't read one of her books, which you would like to read the most? 3) What you thought of the interview? It is simple as that! Good luck and remember to pop back over the next couple of days for my reviews of RUNEMARKS and RUNELIGHT. My favourite has to be Chocolat. It's quite a coincidence to read this interview today, as I watched the -not so good- film version of Chocolat last night. I'm therefore intrigued to see there'll be a sequel - hope there isn't long to wait. A great interview and although I was already aware of Runemarks and Runelight, I'm now more determined to read them. How exciting, Joanne is also one of my favourite authors - I love Chocolat, in fact its one of the few books I re-read on a regular basis. The Red Shoes, a sort of follow up to Chocolat, was also interesting if not quite as enjoyable. Having some trouble with hackers trying to get into my e-mail account, if I'm lucky enough to win could you let me know via FB message? Thanks. Good luck everyone. I've read Chocolat and The Evil Seed. Chocolat was my favoutite, I read it from cover to cover while staying in hospital over night with my daughter while she was having a minor operation. Definitely agree it is FAR superior to the film. I've seen Chocolat several times--it's wonderful! Terrific interview, Vivienne!! Whoop! Did I really say The Red Shoes? What I of course meant was The Lollipop Shoes. Fantastic interview! I read Chocolat and enjoyed it. It made me crave chocolate :) Very cool that Vianne Rocher is getting her own book. I've read all your books and love how varied they are and yet I've enjoyed them all. If I have to pick a favourite, I think it's Gentlemen and Players for the intrigue, but then I love the magic touches in many of the others and the fab use of mythology in Runemarks.